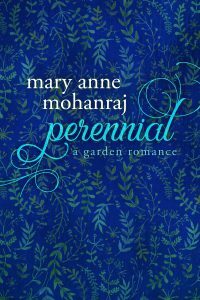 Perennial is a combination of breast cancer memoir and garden romance, a sweet little chapbook of about 14,000 words of fiction and a dozen autobiographical poems. The first printing will be a limited edition of 100 signed and numbered copies; e-book versions are also available. Coming in March 2017 (or sooner) from Serendib Press. “Can I help you?” The woman in the front section of Devan McLeod’s garden shop had been wandering aimlessly about the store for a full twenty minutes. Usually he tried not to pester the customers; after eleven years in America, he still hadn’t dropped all of his more reserved habits; his Scottish father had been the strong, silent type. But his Indian mother came from shopkeeper roots, and he could just hear her scolding him now. Take care of your customers, son, and they’ll take care of you. He really ought to Skype them; it’d been too long.